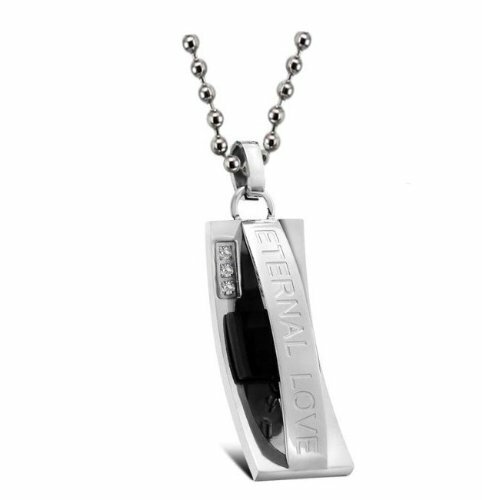 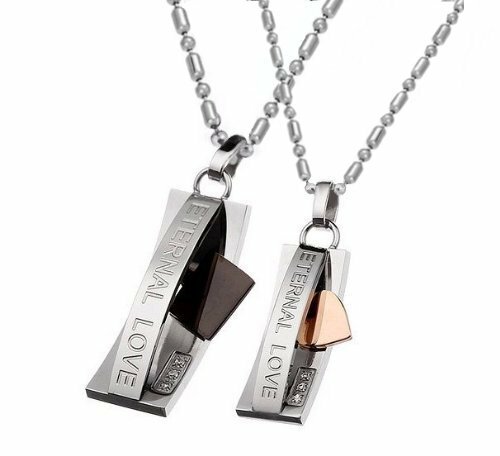 A Great Gift for any occasion, Gorgeous set of Stainless steel pendants with " ETERNAL LOVE " Engraved on them , The Mans pendant holds a floating black square that can swing from side to side and the womans pandant holds a gold tone floating heart that can swing from side to side. 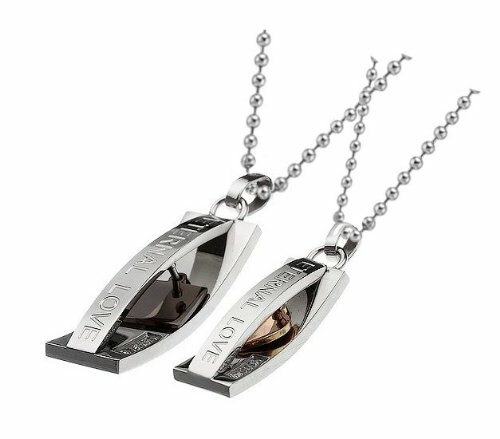 Both pendants are accented by 3 small cubic zirconia stones. 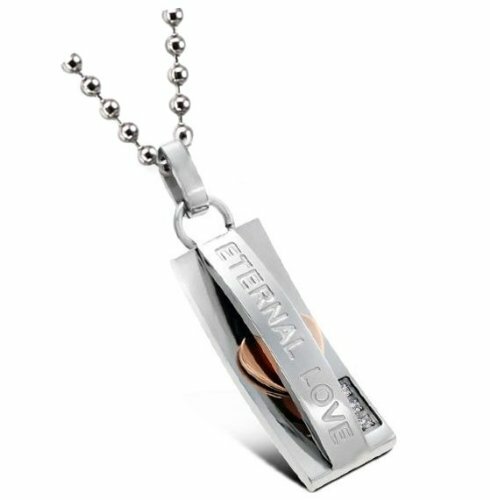 Stainless steel is hypoallerganic with high resistance to rust, corrosion, tarnishing and requires minimal maintenance in order to keep it looking like new.